Down the Piazza from the Clubhouse, you will enjoy The Sports Club featuring our top-rated and USTA award winning tennis program with 8 Har-Tru sub-surface irrigated clay tennis courts, including a Learning Court and Coliseum; a world-class fitness center and Fitness Studio; Spa; Sauna; outdoor heated pool; 3 har-tru Bocce Courts where the fun never ends; 3 Pickleball Courts; and the Bella Vita rooms where Lifestyle Clubs gather daily. The Sports Club earned Mediterra an “America’s Healthiest Club” distinction. Schedule a private lesson or join a clinic at the Learning Court or just reserve time with our interactive “Smash” Ball Machine. Celebrity Tennis Players such as Venus Williams, Mats Wilander and the Columbian Pro Team have graced our design award winning ‘Coliseum’. The Coliseum court is specially suited to special events and spectator viewing. Our USTA Tennis Program is the envy of Southwest Florida area clubs. Our program offers reserved court times, round robins, clinics, lessons, tournaments, mixers, league play and lit courts for night play. Join 600 of your closest friends and play in one of the Club’s three leagues: Mixed, Men and Women. Find out why this sport is all the rage! 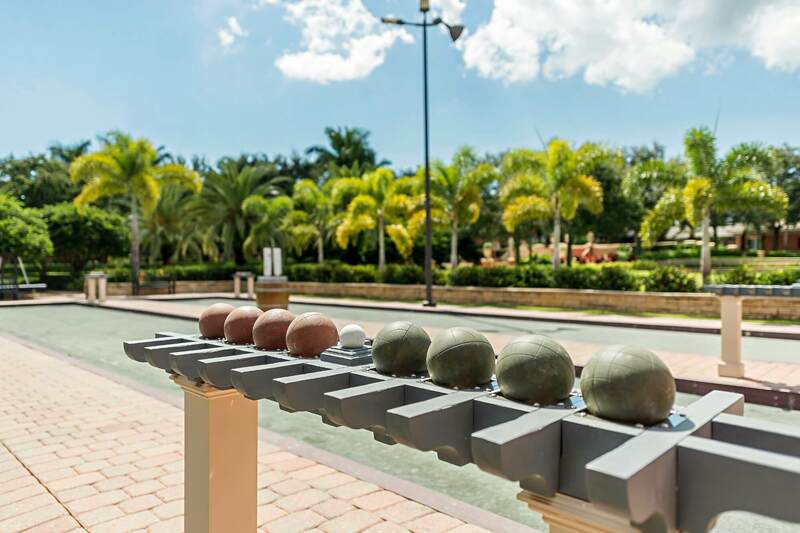 The Club at Mediterra features a Bocce Garden with it’s own Bocce Bar, complimentary wine tastings, tournaments, lessons and private play. 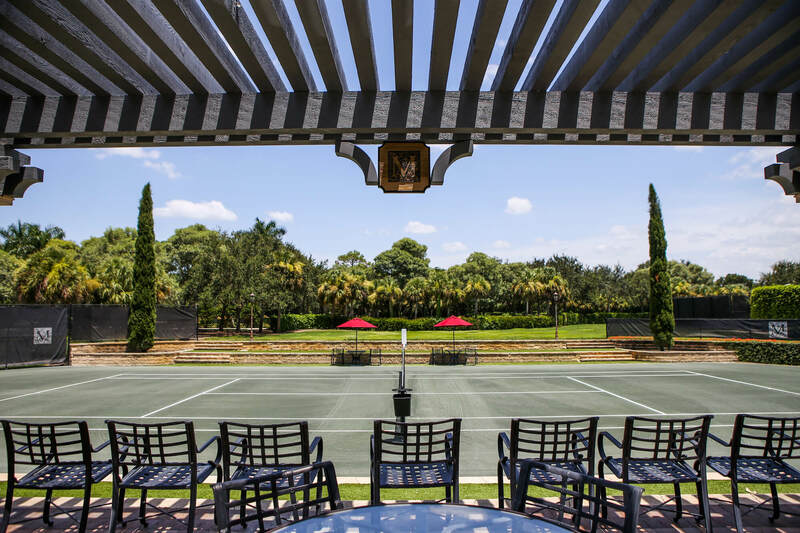 Three har-tru clay courts in a garden setting provide the social setting for this Italian tradition. Bocce is, by far, the most social and welcoming sport around. It’s fast, furious and …fun! Pickleball is heating up around the country and at Mediterra. And why not? It’s easy to learn, easy to play and the most fun you can have with a racquet in your hand. Sorry tennis. Come start your love affair with this latest craze and sign up for Round Robins, Lessons or Tournament Play. We have all the equipment you need. And when you’re done playing, share you stories at the Sports Café over a house made smoothie or ice cold brew.